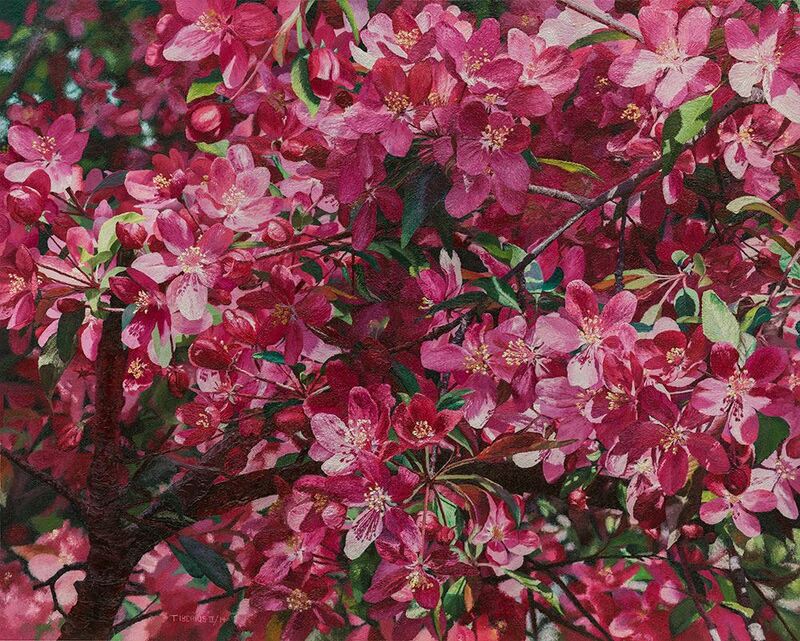 In real life, a crabapple blossom would fit in the palm of your hand. I chose to magnify the flowers in order to recreate the intensity of being close to the tree in bloom. 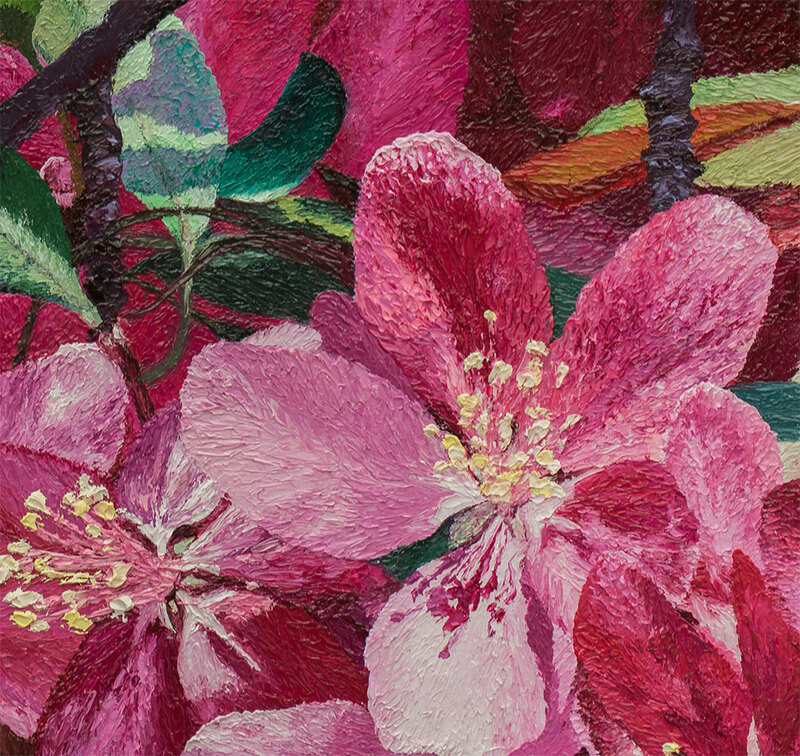 The blooming crabapple is an unforgettable experience. The flowers are so densely packed in exploding clusters, with the leaves barely keeping up with their exuberance. “Spring is here!” they seem to say. 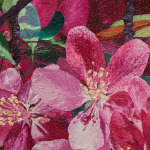 The complexity of form and colour that springtime brings to the crabapple is a delightful challenge to the oil painter. 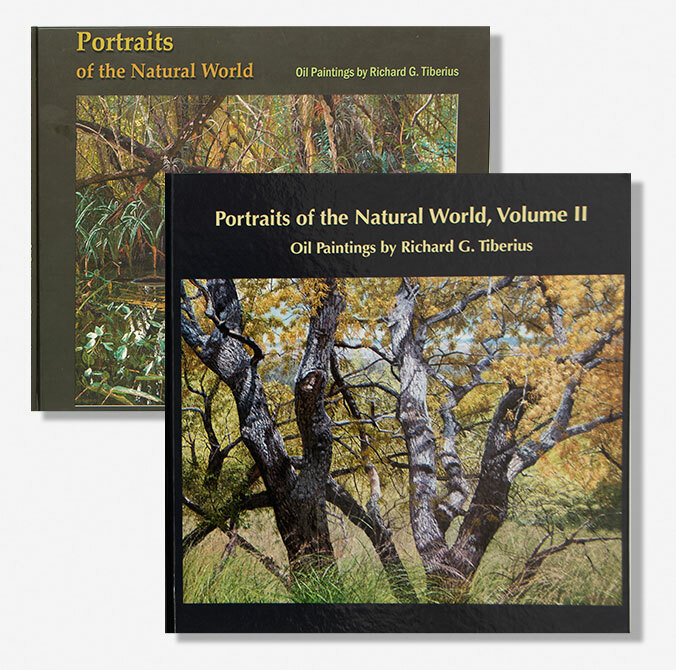 Bright sunlight creates shadows, reflections, and shifts in visible hue that can be almost overwhelming. Painting these little, five-petaled flowers much larger than life size gave me the opportunity to emphasize the intricate patterns that might go unnoticed if the viewer were farther from the tree. Even the slight, pink reflection from the flowers that shifts toward purple in hue when seen in the shadow on a leaf can be seen when we take our time, soaking in the beauty this tree has to offer.